Game 1: Mega Man 2 put up a valiant effort, but Super Metroid, the #1 seed on one of Nintendo's most highly rated consoles proved to be too much for the Blue Bomber. 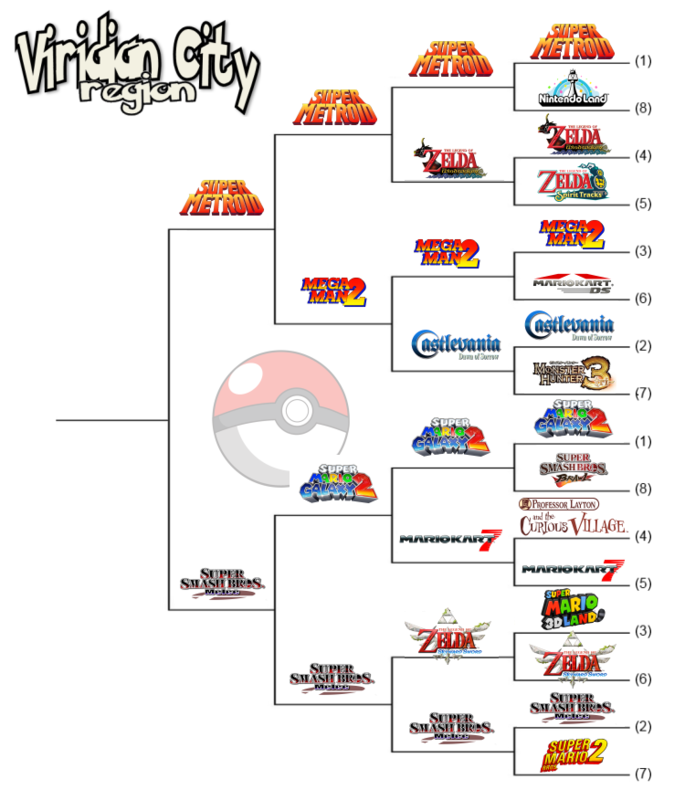 Super Metroid is the only Metroid game and the third SNES game to make it to the Elite Eight. Game 2: Super Smash Bros. Melee won out in a battle of highly regarded sequels as it took down Super Mario Galaxy 2. Melee is the only representative of the Gamecube in the Elite Eight. I'm at PAX so it will be a bit before we get back to voting. Even though I voted for Melee a part of me wanted to see Galaxy 2 win. Super Metroid, of course, deserves its win hands-down and should probably just win the whole darn thing, even though it won't, because of that silly Ocarina of Time game. silly Ocarina of Time game.